Graco has again risen to meet the demands for spray foam equipment that can improve performance while withstanding the harsh applications, and providing the intended results that material manufacturers planned for. Expand your business and improve your bottom line with the new Reactor 2 E30 Elite now. Specifically designed with meticulous details and attention paid to operational aspects, as well as results monitoring features and maintenance simplification- This will change your business the moment it sets foot on your job site. Unlike the Standard Reactor 2 E30 with 15 kw Heater, the Elite model gives you more control and provides a way to easily and thoroughly document results. This allows you to monitor and plan ahead, as well as keep within the constraints of customer demands and deadlines. Graco InSite reporting technology is standard on the Elite Reactor 2, and allows you to oversee progress and results for your business regardless if you are on site or across the globe. The new technology also allows for equipment operations to be logged, showing the time schedules the machine runs, as well as the spray specifications. 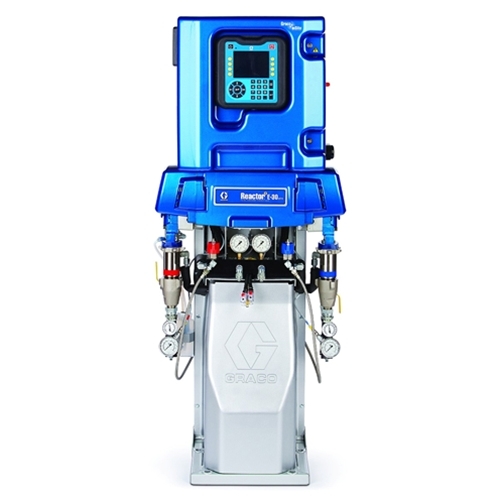 The Elite Standard Reactor 2 E30 can also be programmed to store up to 24 spray foam recipes. Traditional Electric Reactors can’t hold a candle to the results delivered by a Reactor 2 E30 Elite, and the easy maintenance assists in solidifying the decision process. The new design takes up less space in your rig than similar spray foam equipment, and also provides access to allow for faster service for traditional maintenance. Choose a Reactor 2 E30 Elite with 15 kw heater, packaged separately as the standalone unit or as a system including integral parts for complete set up and operation. Allow the experts at Intech to provide information and answer questions. Orders can be placed online or by phone, as well as at our service centers across the US.